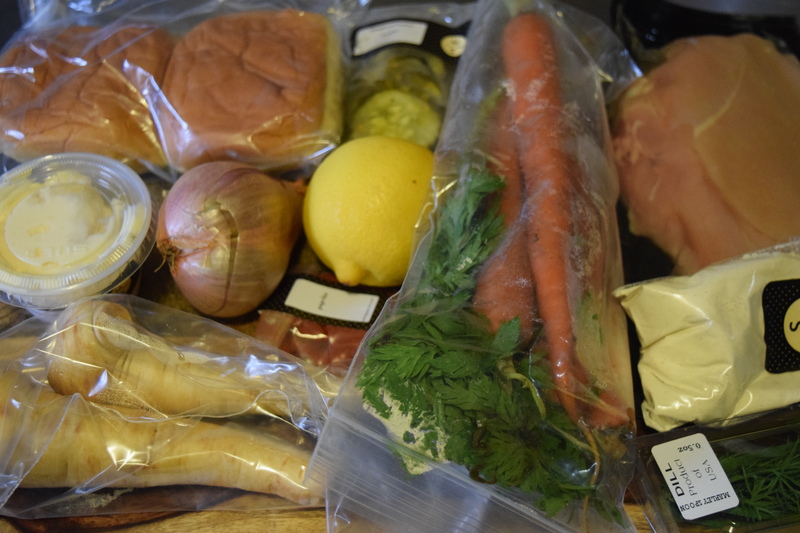 It’s Tuesdays with Marley as I head back to the kitchen for a review of my weekly Marley Spoon subscription box. 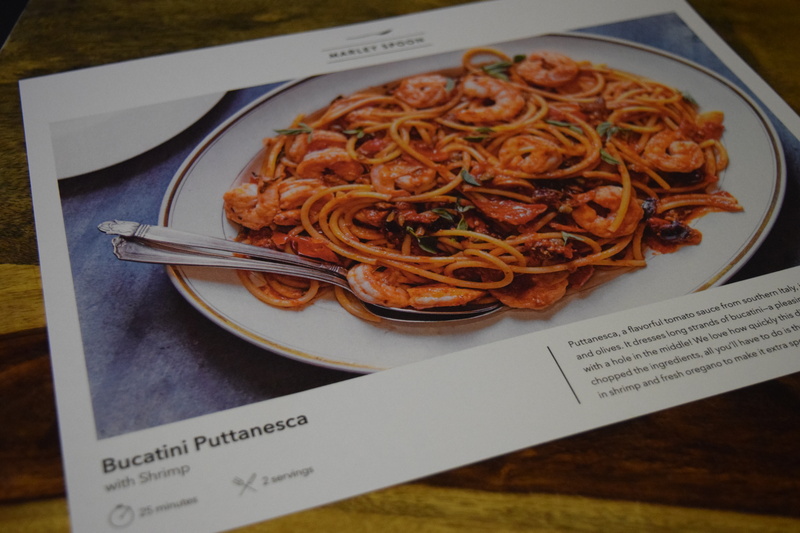 If you’d like to try it out yourself, use the coupon code COOKSMART for $30 off. I absolutely love Martha Stewart. I mean she built an empire teaching people how to to do stuff like make candles out of hazelnuts. An EMPIRE. That’s a level of genius I can’t begin to understand. Plus she went to jail, came out and ended up more successful. That’s just a level of badassery that you can’t help but admire. I actually also love most of her recipes – although I’ve found the online ones to be much more accurate than the cookbooks. So save your money and just go to her website. In any case, I’m excited (can’t you tell) to see what changes Martha brings to the recipes. I’m hoping it’s less chopping coriander seeds and more one pot cooking. 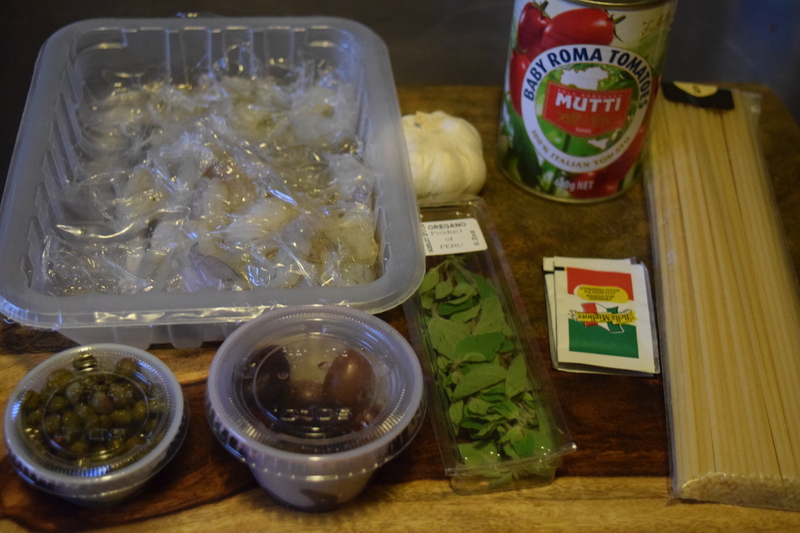 I’ve never made a puttanesca and I loved Shrimp so I figured I’d try this out even though olives aren’t my most favorite thing. This is a pretty straightforward recipe. 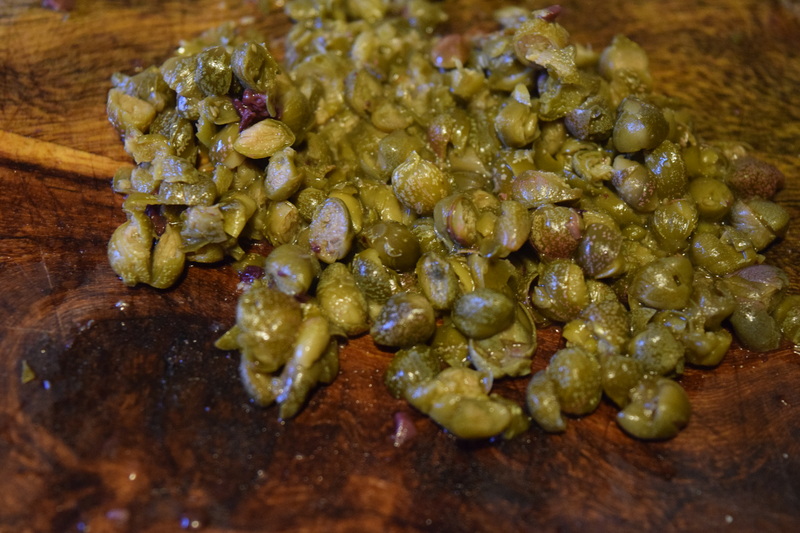 We prep our capers, olives and garlic. 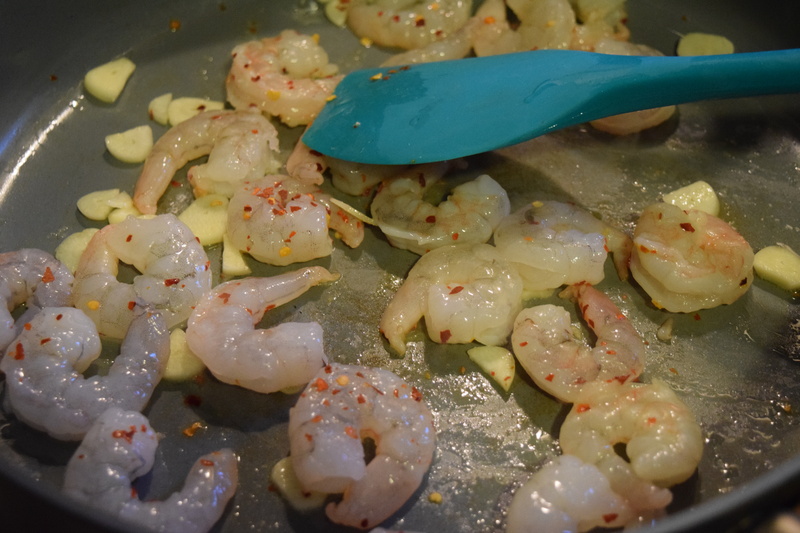 While the pasta boils, we sauté some shrimp with garlic amd crushed red pepper flake in some olive oil. 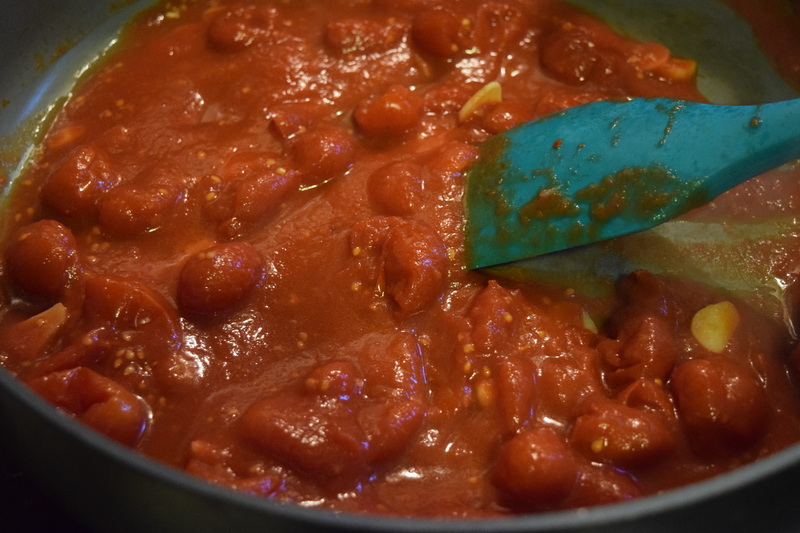 We take out the shrimp and make some sauce by adding our canned tomatoes, breaking them up and adding in our chopped ingredients. 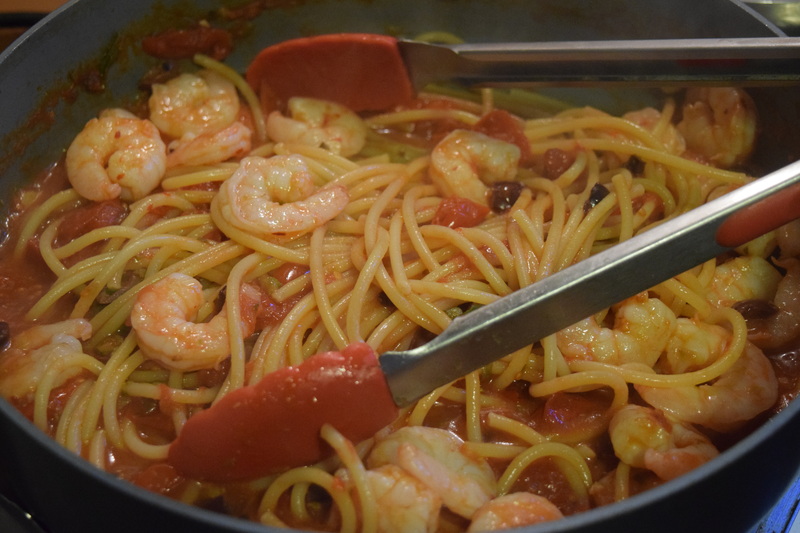 To finish we add pasta and reserved pasta water to the pan, return the cooked shrimp to it and add in oregano leaves we picked from their stems. (It’s just not a Marley Spoon recipe if we don’t pick tiny leaves off of herbs). 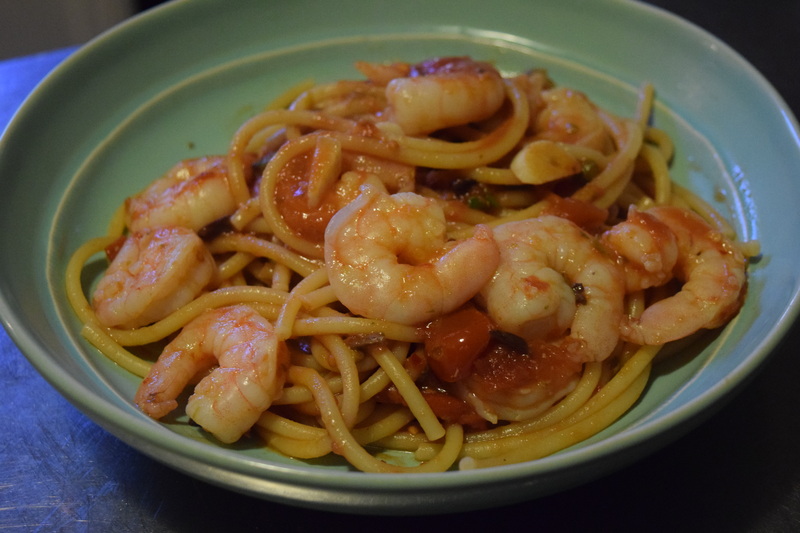 The shrimp was fresh and the ingredients were lovely, but the finished dish was just too briny and olive-y for my taste. I think Puttanesca is supposed to taste this way so the recipe was successful, it’s just my personal palate doesn’t agree with it. 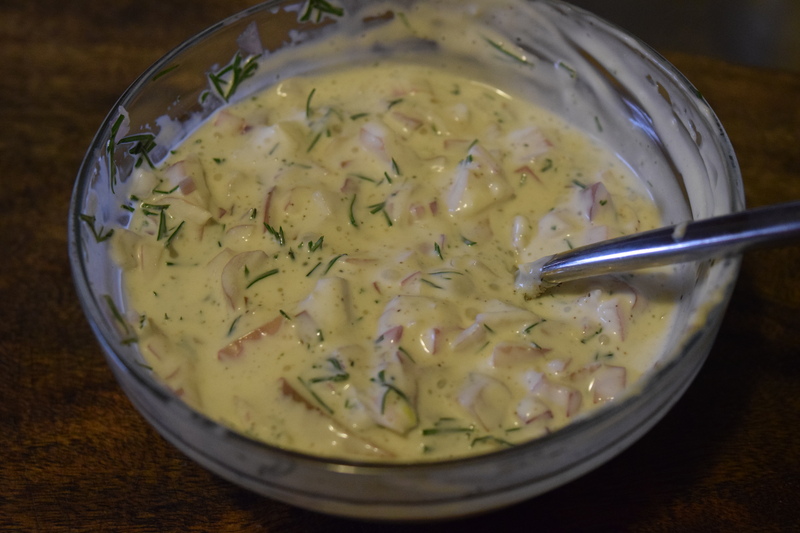 This was quite easy to make and I’m sure someone who loves briny flavors would enjoy this. As a note, if you leave it in the fridge, it gets hella strong. I ended up just eating the shrimp out of the leftovers because the pasta was just too much for me. Good for Entertaining? 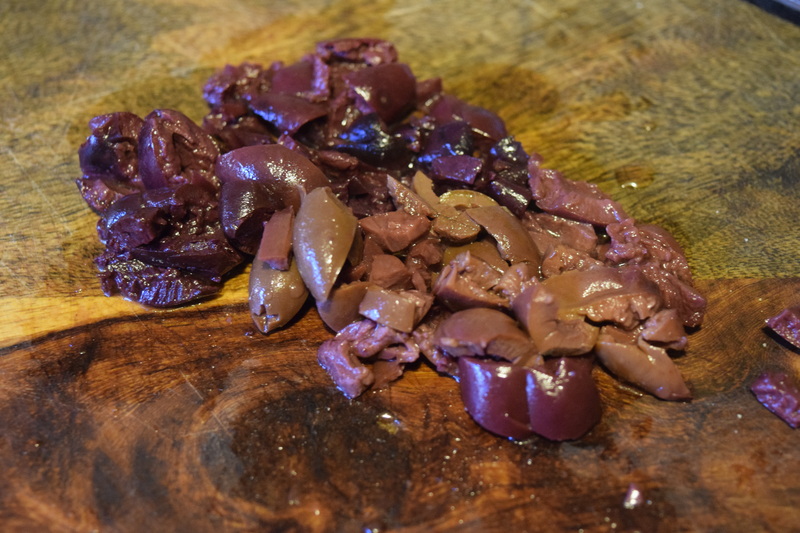 : For someone who really loves olive flavors it would be a nice dish to serve family style or at a dinner party. Who can say no to Fried Chicken? So first I had to prep my ingredients, which led me to realizing that I need to sharpen my knives. While the vegetables roasted, I made the sauce for the sandwiches. 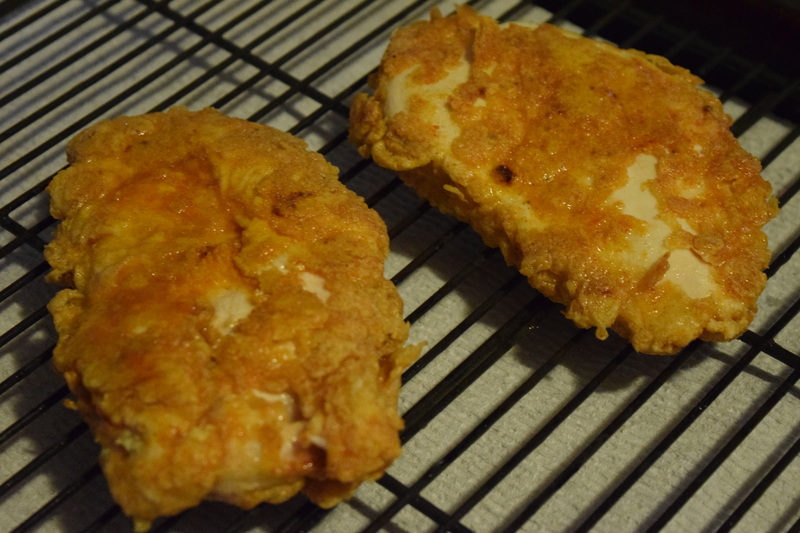 Then it was the fun that is breading chicken. I was a little too generous with one breast, so the other had a bit less coating. 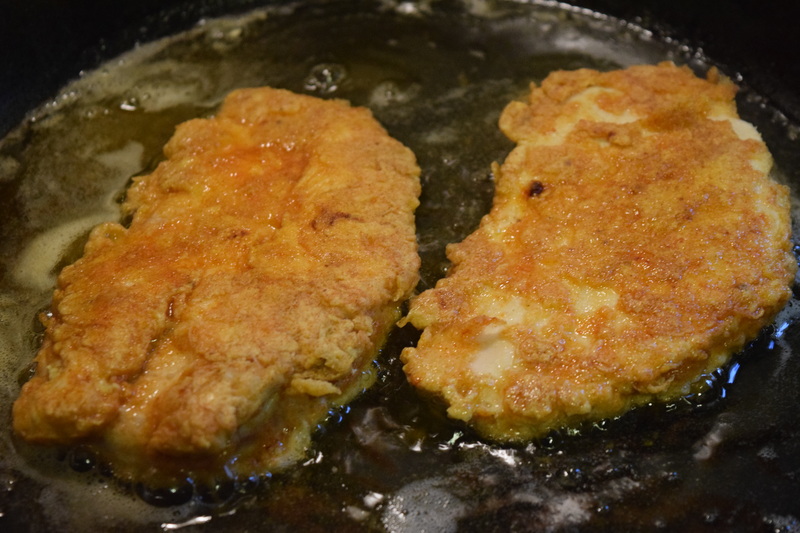 I fried it up and while some breading fell off, I still thought they looked pretty good. Then it was time to build our sandwiches. 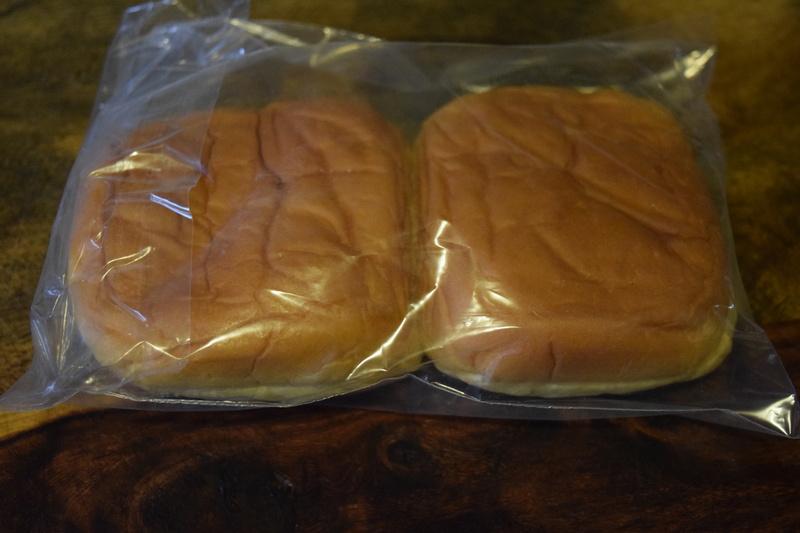 Now I love potato bread, but these buns were kind of sad and tiny – especially in comparison to the chicken. I think we needed rolls that were a bit bigger. These were tasty and the mayonnaise sauce had a lovely dill flavor. 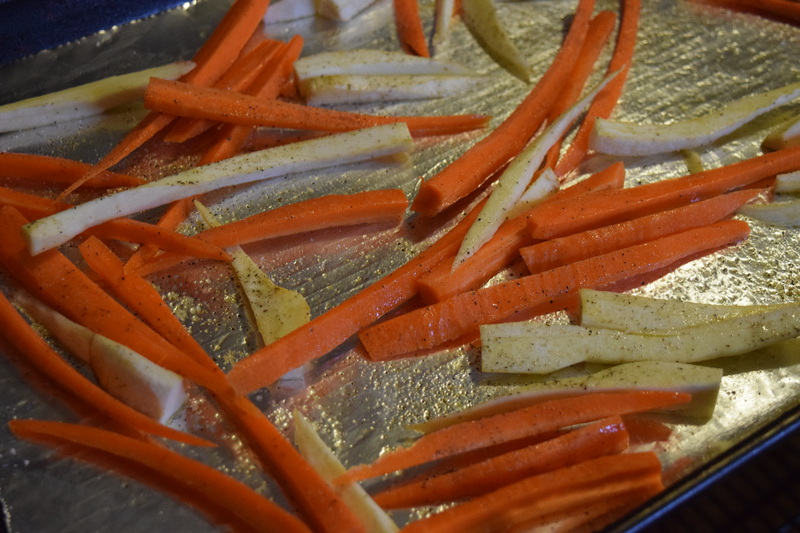 I loved the root vegetable fries and I thought they were a nice alternative for traditional potato fries. The only real downside was that the bun was a bit small. Good for Entertaining? : Yes, for a fun laid back menu. I’d do a take on chicken cordon bleu by adding swiss cheese, ham and mustard (in lieu of the herbed mayo and pickles). For the veggie fries, I’d add in some sweet potatoes and serve them with some homemade ranch sauce for dipping. As an appetizer, I’d do some kind of flavored popcorn mix with nuts and Bourbon mint Iced Tea for a cocktail. For dessert I think I’d go with a Strawberry Tiramisu. I didn’t care for the taste of the shrimp recipe but that’s more about me and less about the ingredients. 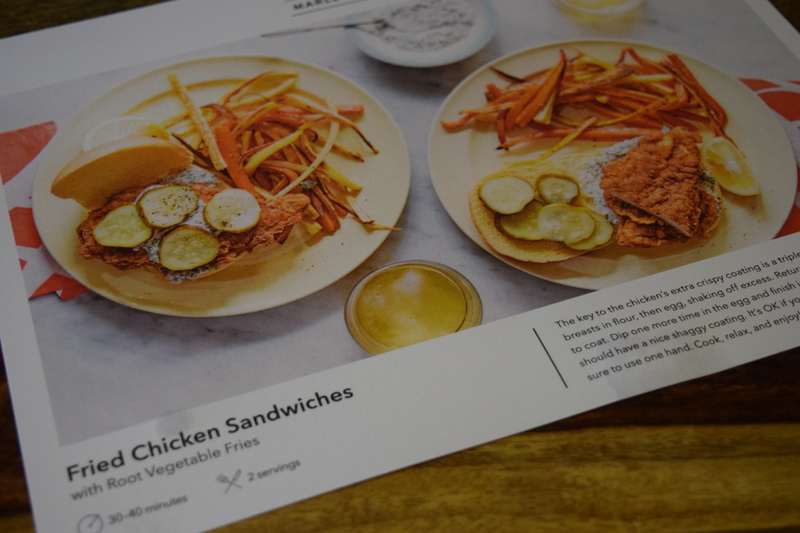 I liked that it was an easy recipe that you could actually complete on a weeknight. 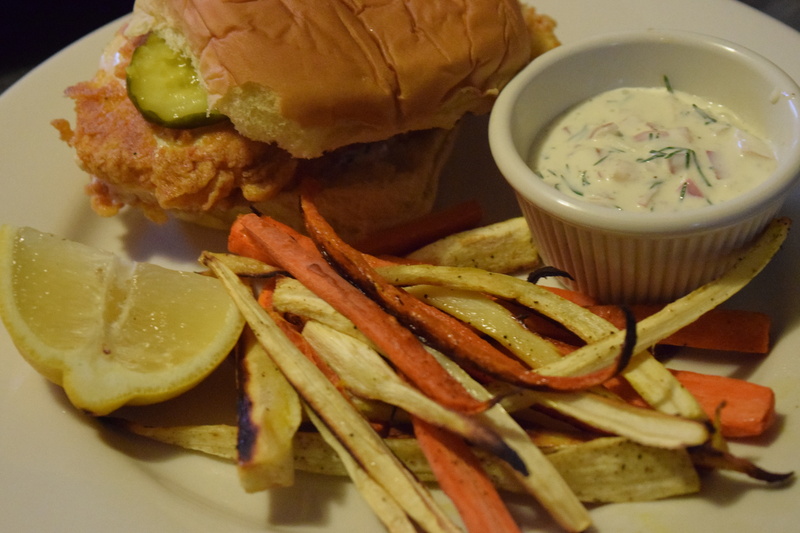 The chicken was delicious and I’ll definitely be trying out root veggie fries with other dishes. All the ingredients were fresh and I feel like I learned something new, which is my goal with this sub, so I’m taking this one as a win. Previous article	← Julep Maven: April 2016 Vivid Brights! Plus 20% Off! I enjoyed your latest foodie post and hopefully with Martha Stewart in the mix better food combos, seasoning, & sure fire recipes!! I would definitely eat the first dish (my family loves OLIVES & olive oil!!) and the chicken sandwiches!! I know my son would love to try those root veggies with the dip (he already loves oven fried potatoes and roasted asparagus) !! I’m sure your son would love the veggies. They included parsnips and carrots. You should definitely try them out!